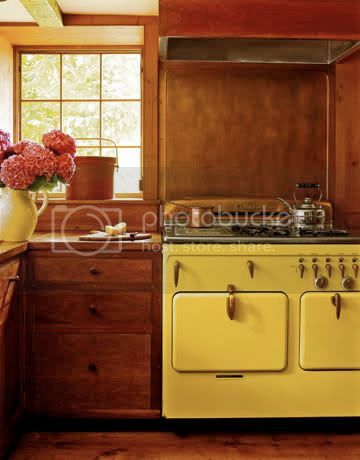 Our mother has always talked about the yellow Chambers stove from her childhood home in New Jersey with a distinctive longing, maybe for childhood... or maybe just for a great kitchen appliance! So when she found out that said childhood home is for sale (the current owner said her name and height are still on the wall! ), she jumped at the opportunity to possibly get back this little yellow gem. Chambers stoves are pretty great. Rachel Ray's Chambers stove is just about the only thing she has going for her in the Cool Department. Probably the neatest (to use a word from the 1960s) feature is the built-in pop-up broiler right next to the burners. They are adorable in a very retro way - canary yellow, seafoam green - colors only the 60s could pull off. 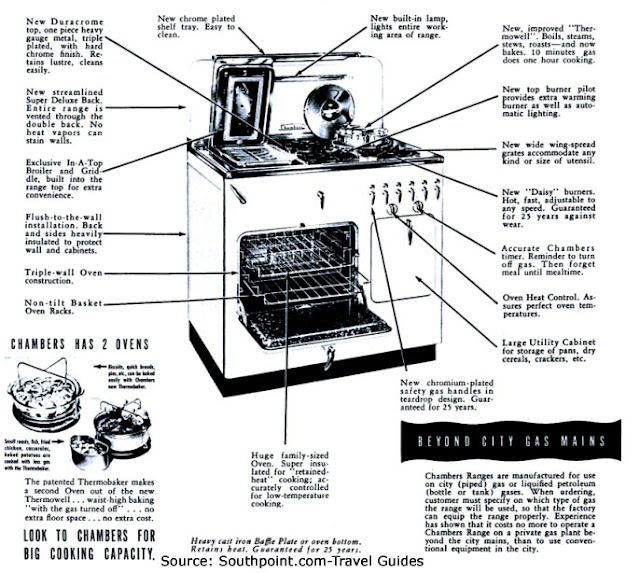 Actually,those stoves are older than the 60s--late 40s and early 50s. http://www.chamberstoves.net/Models.html has some great pics/catalogs. 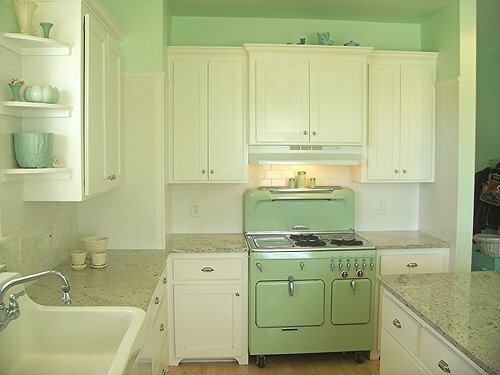 these kitchens are beautiful, i love the old fashioned looking colors!